Before you realize it, VMSA Live 2017 will be here. I’m thrilled to have been invited to discuss the exciting shifts that are propelling our industry toward the digital future. The focus of this year’s event centers on technology. Yet, it’s not simply a topic for the conference. Countless iterations of human resources technology are being leveraged by nearly every organization. A couple of weeks ago, I wrote about the transformations occurring with artificial intelligence (AI) and the Internet of Things (IoT). Right after that, Len April demonstrated how virtual reality (VR) is expanding beyond entertainment to fuel scientific advances, medical breakthroughs, educational initiatives and unprecedented diversity programs. The possibilities are endless. In fact, our evolving technology can play a pivotal role in enhancing the onboarding and employee experience. Machine learning, language processing, semantic matching functions and people analytics have become pervasive in nearly every facet of talent acquisition. Deloitte’s latest Perspective report shows a 29-percent increase between 2015 and 2016 in the use of data to predict business performance and improve decision making, particularly in hiring. This trend will continue to grow. Of course, with advanced automation there also comes a pervasive fear of job loss. These concerns are nothing new. Some readers may be familiar with the term “Luddite.” It originated in the 19th century when English textile workers destroyed weaving machines to protest rapid industrialization. The group worried that “the time spent learning the skills of their craft would go to waste as machines would replace their role in the industry.” According to legend, the movement took its name from Ned Ludd, an apprentice who allegedly smashed two stocking frames in the late 1700s and became emblematic of the resistance to automation. Today, uncertainty and hints of Luddite tendencies persist. Forrester research estimated two years ago that 16 percent of U.S. jobs could be at risk because of artificial intelligence and technology. And some roles heavily grounded in manual, repetitive tasks could go to the robots. This study managed to ruffle a few feathers. However, the report went on to embrace a more optimistic conclusion, believing that 13.6 million more jobs would be created at the same time -- as a direct result of the technology. As we pondered in 2014, there’s a much higher likelihood that machines will produce new jobs. Any type of process role can be subject to improvements in technology, yet that doesn’t imply replacement. Jobs that require face-to-face communications and interactions will need human talent. And with interaction-based work growing in nature, new classifications of human workers will be created to meet future business needs. Short-term disruptions, historically, have always given way to longer-term gains. Consider the introduction of desktop computers and word processing, which eradicated scores of typists. Yet the businesses that arose to support PCs led to the development of entire industries, responsible for the creation of millions of jobs worldwide. Meaningful output, in the sense of employment booms, far outweighed temporary outplacement. The most obvious benefit of emerging technologies in staffing comes from noticeable changes in how companies identify, source, engage, recruit and interact with candidates. And big tech firms, recognizing the extreme potential of workforce solutions, are entering the game. In November, we covered Google’s foray into the talent acquisition space with Cloud Jobs API. This suite of recruiting services, which falls under the IRIS by Watson brand, assigns scores to candidates based on cover letters, resume content, vocational history, experience, skill sets, tenure and other factors. It enables recruiters to narrow down top candidates quickly. There are also systems that have adopted AI to perform background checks and screening processes. And all of those marvels are important to staffing professionals. Yet what about the talent themselves? Can machine learning cultivate an extraordinary candidate experience? Yes. 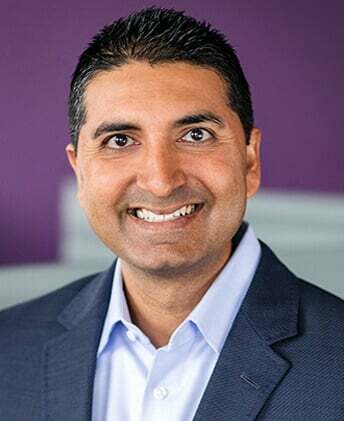 “As companies focus more on providing a superior employee experience, they are focusing their efforts on making sure the employees they hire are a good fit for the company culture,” Sathe says. Digital intelligence helps bridge that gap. AI helps organizations collect and analyze work samples, social media posts, keywords, natural language and behaviors that help identify personality traits that would be compatible with a client’s employment culture. Through machine learning, candidate attributes can be compared against high-performing employees to determine the level of fit before interviews are even scheduled. AI can score social interactions on professional websites and networks, such as LinkedIn and Facebook. With the growth of virtual workforces, video interviewing has become a timely and important addition to our hiring practices. Yet, AI can take this a step further, assisting interviewers with evaluating facial expressions, body language and micro-expressions that could determine characteristics, biases and levels of engagement. The features we just pointed out, great as they are, just scratch the surface of AI’s opportunities for workforce recruitment and management. Machine learning can infuse every step of our talent’s journey -- from initial contact to onboarding and outplacement. The entire career lifecycle can be positively influenced by intelligent machines. Technology can discover and create custom learning plans for individual workers. Combined with AI, learning management systems help steer professional development paths for talent using existing skills, knowledge, attentiveness and experience -- and then determine additional skills required to optimize performance. AI uncovers an employee’s aspirations and interests to provide recommendations for development that align to the goals of the individual and the business for a mutually beneficial experience. When uniting HR and hiring managers, technology can detect operational deficiencies and rectify those hiccups by improving employment processes and needs, including career transitions. A combination of technology and personalized services can make a layoff, restructuring, or department resizing less costly and damaging to a company’s brand — and to the affected employees. In today’s job market, organizations can’t simply eliminate their workforce without financial, legal, and social consequences. Outplacement and redeployment solutions that include the technology to track and manage employee transition rates and alumni sentiment is becoming invaluable for companies hoping to protect the employer brand. In addition, employees expect a certain level of technological capability and the ability to manage their own time and career transition trajectory. Outplacement solutions that improve time-to-land efficiency rely on a technological component to enhance and supplement the personalized services commonly associated with employee departure solutions. Whether we’re talking about AI, the Internet of Things, people analytics design thinking of virtual reality, we can incorporate all these mechanisms into our hiring ecosystems. In fact, this is part of a broader conversation I’ll be hosting at VMSA Live in Arizona on Wednesday, April 5. I would love to see you there to explore these advances, share insights and help invent the future of staffing.